The Beechcraft Bonanza is the aspirational single engine aircraft, a true Cadilac of the sky. For over sixty years the aircraft has inspired both pilots and non-pilots. 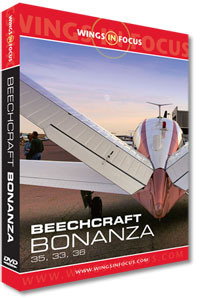 This DVD tells the story of the Bonanza, from its introduction just after the second world war, to the present day. We see inside Hawker Beechcraft's factory in Wichita, and hear from the people who continue to build and develop the Bonanza. We also interview people from the American Bonanza Society, and take a look at the new Garmin glass cockpit. Also included on the DVD is an invaluable buyer's guide.